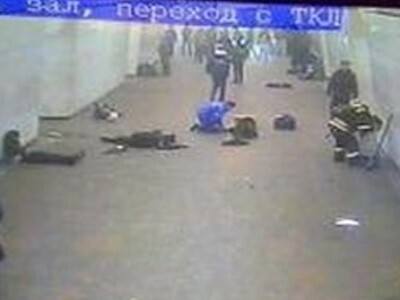 Russian authorities have blamed North Caucasus separatists for yesterday’s Moscow underground attacks without releasing a shred of evidence or any claims of responsibility. The death toll in the Lubyanka and Park Kultury metro station bombings rose to 39 today after a young woman died in hospital. Another 71 remain in hospital, five critically injured. Russian Intelligence say the bombs were planted by two women wearing belts packed with the explosive hexogen and metal shrapnel. FSB boss Alexander Bortnikov said those responsible had links to the North Caucasus but he offered no supporting evidence of his charge. Russia’s tweedle-dum and tweedle-dee leaders Dmitry Medvedev and Vladimir Putin outdid each other in fatuous condemnation. Medvedev said “they were simply beasts”. Whoever “they” were, Medvedev went on to make the ludicrous claim “I don’t have the slightest doubt: we will find and wipe out all of them.” Putin was no better, saying those responsible for the attacks would be “destroyed”. The Russian government is sowing what it reaped with terrorist bombings in recent years. After the Russian annihilation of Chechen separatists in the 1990s, the opposition has turned to a more extremist Muslim leadership with Saudi Wahhabist leanings despite most people in the area having peaceable Sufi leanings. The extremists want a Caucasus Emirate and have killed 5,000 people since 2002 in their jihad against Moscow. The Guardian said the two latest targets were carefully chosen to represent a symbolic attack on Russia’s government. The first bomb went off opposite the headquarters of Russia’s FSB anti-terrorism intelligence agency at Lubyanka in the city centre. The second bomb may have been intended for Oktyabrskaya station, next to Russia’s interior ministry in the city’s south west. It is possible these may have been false flag operations. The FSB has form in this department. In the Russian apartment bombings of 1999 which led directly to the Second Chechen War, the failed attack on the building in the city of Ryazan was carried out by FSB operatives who were arrested by police. A hugely embarrassed FSB director Nikolai Patrushev laughed off the incident as a “training exercise”. Those in Grozny did not see the funny side of it as 50,000 civilians were killed in the massive military assault. Chechens are still succeeding in bringing the war to Russia’s own turf. The two suspected suicide bombers are what the media dubs “black widows”. These were women who lost husbands or brothers to the Russian war and who made a spectacular leap into public consciousness during the Moscow theatre siege “dressed in black chadors, their waists and chests adorned with bombs”. While the bombs might be hidden behind chadors, the war of ideas is hidden by the bombastic rhetoric of Putin and Medvedev. Their naked greed and imperialism is taking Russian into a dangerous fascistic phase. They have plundered the country’s wealth, killed with impunity and destroyed the hopes of democracy inherited from Mikhail Gorbachev. They are the real murderers, the “beasts” which should be “destroyed”. A car buyer’s guide is not where I expected to find penetrating analysis of western consumer culture, but that is what The Dog and Lemon Guide’s editor Clive Matthew-Wilson has provided. The Emperor’s New Car is a critique of the economic and environmental value of electric cars and Matthew-Wilson gets to the root of the problem: it is our lifestyle killing the planet not petrol-fuelled cars. Electric cars improve air quality, reduce traffic noise, reduce reliance on oil from politically volatile countries, reduce emissions (if using electricity from renewable sources) and may be more fuel efficient. But there are negatives: most electricity is produced from fossil fuels, electric cars are less efficient than mass public transit, there is a serious shortage of accessible energy, private cars are an unsustainable transport model, and they are being financed with taxpayers’ money as a bailout of car companies. The oil shortage, Matthew-Wilson says, is an energy shortage. This is worsened by energy wastage and resulting pollution. The West’s energy lifestyle relies on the East staying poor and undeveloped. A quarter of the world uses 85 percent of its resources. The world does not the resources, renewable or otherwise, to spread the West’s lavish lifestyle across the globe.Car ownership is embedded in western culture and with it an illusory sense of freedom. The electric car cannot solve US energy and pollution problems because the private car is not the biggest waster of energy in America. That honour goes to homes – mostly poorly designed and poorly insulated, far from services and full of gadgets that are an energy sink. Worldwide the demand from gadgets will require building of 560 coal-fired power plants, or 230 nuclear plants. While experts promote mandatory efficiency rules, no one is advocating restraint in purchases of consumer electronics. Shipping is also a problem. Sixteen cargo ships create as much pollution as all the cars in the world. The problem, the report says, is not the car but a package deal of wasteful cars, wasteful suburbs based around cars and a wasteful society based around consumption, with the car the most obvious symbol of waste. “Changing the way that American cars are powered will not solve the built-in problems of the American system of over-consumption,” Matthew-Wilson said. Global materialism is compounded by energy wastage. China’s growth and demand for energy will outstrip any environmental gains in the West. The West’s consumption has fed the Chinese boom. China’s vast underground coal fires make an enormous, hidden contribution to global warming annually releasing 360 million tons of carbon dioxide, equivalent to all the cars and light trucks in the US. The report also side-tracks into the dangers of WalMart car parks, the US diet and excess consumption. The conclusion is straight-forward and unpalatable: the only way a society hooked on excess energy consumption can solve the problem is to reduce energy consumption to a sustainable level. 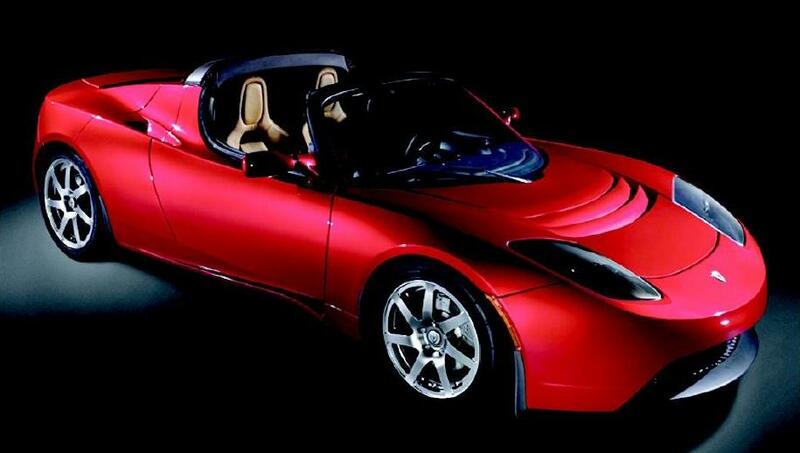 The electric car movement, said Matthew-Wilson, is based around the falsehood it is possible to continue the American car-based lifestyle of the twentieth century by changing the form of energy used to power it. His report is a clear-eyed and compelling prescription for societal change. The horrific nature of the attack is outlined in HRW’s 67-page report “Trail of Death: LRA atrocities in Northeastern Congo” (pdf version). It was one of a series of assaults in the Haut-Uele and Makombo regions of DRC late last year during a four-day operation to abduct child soldiers. In each town the LRA pretended to be Congolese and Ugandan army soldiers on patrol, and spoke in broken Lingala (the common language of northern Congo) to reassure locals. Then they tied them up with ropes or metal wire at the waist, often in human chains of five to 15 people and dragged them away. The victims included children aged 10 to 15 who were made to carry pillaged goods. Anyone who refused, or who walked too slowly, or who tried to escape, was killed. Hundreds were hacked to death with machetes or had their skulls crushed with axes and heavy wooden sticks.The Congolese and Ugandan governments had previously claimed the LRA was no longer a threat to the DRC. HRW says embarrassment over these claims contributed to the lack of news of the massacre reaching the outside world. A DRC army investigation unit arrived a week later and concluded the LRA had carried out the attacks but no further action was taken. Ugandan soldiers attempted to pursue the assailants without success. It wasn’t until the end of December news filtered through to MONUC, the UN peacekeeping mission in Congo. Though it regarded the LRA as the enemy, MONUC did not have the resources to investigate. 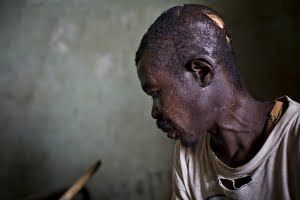 Its priorities were to defend the district capital Dungu from LRA attack, and attend to the long-running crisis in Kivu. However after a HRW briefing in March, MONUC sent a team of human-rights specialists to the area to investigate. The attack was coordinated by General Dominic Ongwen, commander of LRA forces in northeastern Congo. Ongwen is wanted by the International Criminal Court for crimes in Uganda and he divvied up the abductees among the LRA commanders and separated into multiple smaller groups, each heading in a different direction. HRW has called on the ICC and the DRC to investigate Ongwen and his two most senior commanders for their role in the massacre. It’s a task easier to ask than answer. Originally from Uganda, the LRA has evolved into a regional power causing deadly mayhem in Uganda, southern Sudan, CAR, and Congo. They were pushed out of Uganda in 2005 and now operate in remote border areas between southern Sudan, Congo and CAR. Despite continual attacks from multiple directions, including the 2008 US-logistics backed Operation Lightning Thunder, the LRA has proven remarkably resilient and able to regroup to continue attacks and abductions of civilians. In retaliation for Operation Lightning Thunder the LRA attacked Congolese villages around the end of 2008 killing almost a thousand civilians and abducting hundreds more. HRW says one hope of defeating the LRA comes from the US government. On 24 February, US Secretary of State Hillary Clinton Senate told the Foreign Relations Committee “I have been following the Lord’s Resistance Army for more than 15 years. I just don’t understand why we cannot end this scourge. And we [the US government] are going to do everything we can to provide support we believe will enable us to do that.” Three weeks ago the Senate unanimously passed the Lord’s Resistance Army Disarmament and Northern Uganda Recovery Act. The bill is now before the US House of Representatives and if enacted into law requires the Obama administration to develop a regional strategy to stop LRA attacks, work to apprehend their leadership, and support economic recovery for northern Uganda. Sunday was the 50th anniversary of the Sharpeville massacre in South Africa, a day now called Human Rights Day, celebrated with rare political unity. According to The Sowetan a service was held at Sharpeville cricket stadium attended by members of the ANC, United Democratic Movement, Democratic Alliance, African People’s Convention, Independent Democrats and Inkatha Freedom Party. Each party had two minutes to deliver speeches. ANC Deputy President Kgalema Motlanthe said the people had to take ownership of history both as political organisations and members of society. “A common ownership of our history is the basis of nation building and must never be undermined by any interest group based on the subjectivity of race, class or ideology,” he said. 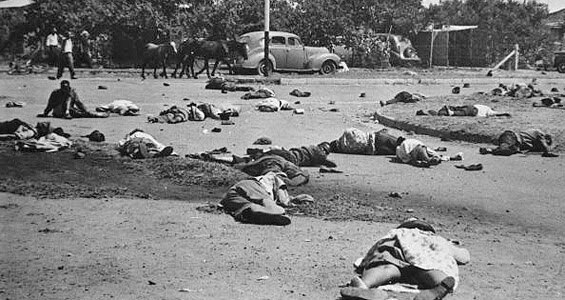 The Sharpeville Massacre was a brutal event which shaped South African politics for half a century. White police killed 69 black people and wounded 178 during a demonstration against segregation laws. While the massacre focused world anger on apartheid, it also exacerbated political tensions between the ANC and the breakaway Pan Africanist Congress, which exist to this day. Sharpeville is a small township serving the white industrial cities of Vanderbijlpark and Vereeniging, south of Johannesburg. Itinerant black workers lived in shanty-towns and earned a pittance in nearby coal and steel industries. On 21 March 1960 the PAC organised a peaceful protest against the pass system for black South Africans which limited their movements. PAC was a hardline organisation founded a year earlier as a breakaway from the ANC after the latter instituted its Freedom Charter with a commitment to a non racial South Africa.The pass law protests were originally the ANC’s idea and were due to start on 31 March 1960. On 21 March, about 6000 people converged on Sharpeville police station offering themselves up for arrest for not carrying pass books. A small number of officers inside the station were not worried as the atmosphere was peaceful. But as the crowd grew during the day, it got more tense. Police rushed in 130 reinforcements in Saracen armoured cars. They were supported by sabre jets who buzzed the crowd to scatter them. When the crowd threw stones, police began making arrests. A fight broke out and the crowd advanced towards the police fence. What happened next is disputed. Prime Minister Hendrik Verwoerd claimed the protesters shot first – though no arms were found on any of them. The police report later that year said inexperienced and panicky officers opened fire setting off a chain reaction. Evidence at the Truth and Reconciliation Commission 34 years later said the police action was deliberate. Sixty-nine people died including eight women and 10 children, and over 180 were injured, including 31 women and 19 children. Many were shot in the back. In the following week, enraged blacks across the country held demonstrations, protest marches, strikes and riots. On 30 March the government declared a state of emergency and arrested 20,000 people. The UN condemned the massacre and the UN Security Council passed resolution 134 concerning ”the situation arising out of the large-scale killings of unarmed and peaceful demonstrators against racial discrimination and segregation in the Union of South Africa”. Of the permanent members only Britain and France abstained and foreign investors pulled out of the country. Sharpeville played a crucial part in the gradual isolation of racist South Africa. The PAC and the ANC were banned leading to the radicalisation of both organisations and the formation of military wings. Author Millard W. Arnold said the ban and heavy-handed crackdown had “welded together three generations of black people united in opposition to apartheid.” South Africa would have to endure 30 more years of pain before Sharpeville could be forgiven, if never forgotten. The TRC would eventually find the police actions constituted “gross human rights violations in that excessive force was unnecessarily used to stop a gathering of unarmed people” but its terms of reference meant no one was charged for the crime. The marginalised PAC (which got 0.27 percent of the electoral vote in 2009) still look back ruefully on Sharpeville and think what might have been. The latest American State of the News Media report shows a catastrophic decline in advertising revenue in online, newspapers, magazines, radio and network television. Cable television was the only sector not to decline and the overall picture leaves analysts wondering how much farther the industry has yet to fall. Amid the gloom, the Pew Project report says 2009 was the breakthrough year for Twitter and other social media which emerged as powerful tools for disseminating information and mobilising citizens. The uncontrolled nature of social media is no consolation for major news media organisations. Their most immediate concern is how much revenue they will regain as the US economy pulls out of recession. Market research and investment banking firm Veronis Suhler Stevenson predicts that by 2013 newspapers, radio and magazines will take in almost half as much in ad revenues as they did in 2006.The collapse has been extraordinary. Newspapers, including online, saw ad revenue fall by a quarter during the year bringing the total loss over the last three years to 43 percent. Local television ad revenue fell 22 percent in 2009; triple the previous year’s decline. Magazine ad revenue dropped 17 percent, network TV is down by 8 percent, while online ad revenue fell by 5%. Revenue to network TV news and online news sites weren’t broken out of their overall totals but most likely fared much worse. Network news divisions are also on a long slow curve of decline and have halved in sized since their peak of the 1980s. Local television is also feeling the pain. One estimate puts the losses in the last two years at over 1,600 jobs, or roughly 6 percent. Magazines such as Time and Newsweek have also shed almost half their staff since 1983. The motivation of news corporations over the last 20 years has been to cut expenses for the sake of profit eroding its sense of public good in favour of efficiency and profit. The researchers say the collapse of these ownership structures may mean a partial rebirth of community connection and public motive in news. But it warns unless someone can develop a system of financing the production of content, reportorial journalism will continue to shrink despite the new technologies. The vexed question of a viable Internet revenue model remains. The researchers found four out of every five online news consumers say they rarely if ever click on online ads. Rupert Murdoch and News Ltd are moving to paywalls but studies show most people are “grazers” and only about one in five people would be willing to pay for online content – this number is likely to decrease with less voracious news consumers. While the Australian media obsess with the arrant nonsense spouted by Chris Monckton, sober climate change warnings from reputable agencies such as the CSIRO and the Australian Bureau of Meteorology fly under the radar. Monckton attracted hundreds of articles and acres of print in his recent visit to Australia whereas a search of Google News found just 27 articles about the latest CSIRO/BOM State of the Climate report released this week. Only 20 were Australian and the most high-profile was a predictable tirade against the report by Andrew Bolt. At least Bolt should be lauded for discussing it, generally the media were interested in neither burying nor praising CSIRO. They have done Australia a massive disservice. Because the document has major implications to the way we live our lives in the next 50 years. It contains an up-to-date snapshot of observations and analysis (html version, pdf version) of Australia’s climate and the factors that influence it. The data was sourced from peer reviewed data on temperature, rainfall, sea level, ocean acidification, and carbon dioxide and methane levels in the atmosphere. Between them, CSIRO and BOM, have 160 years of research behind them so there ought to be a fair degree of trust of their data.Among their key findings is the long-term upward trend of temperature of Australia. On average temps have risen 0.7 °C in the last half a century. Some areas have warmed 1.5 to 2 °C in that time. The strongest warming is occurring in spring (about 0.9 °C) and the weakest in summer (about 0.4 °C). The number of days with record hot temperatures has increased each decade over the last 50 years and the years 2000 to 2009 was Australia’s hottest decade on record. Rainfall has been stable since 1960 though the geographic distribution has changed significantly. Rainfall is on the rise in remote northern areas such as the Pilbara, the Northern Territory coastline and the Gulf of Carpentaria. But rainfall has decreased in south-west and south-east Australia, including all the major population centres, during the same period. The report looked at 137 years of ocean data and found the global average sea level rose by close to 200mm in that time. The speed of the rise is also increasing. In the 20th century sea levels rose at an average of 1.7mm per year. But since 1993, the rise is about 3.0mm per year. There are geographical variations within the 1993-2009 figure. In Australia sea level rises are higher in the north and west (7-10mm per year) while rising just 1.5 to 3mm in the south and east. The oceans are absorbing a quarter of all human generated CO2 making them more acidic affecting the health of ocean ecosystems around the world. It doesn’t help global carbon dioxide and methane emissions are on the rise. The natural range of CO2 in the atmosphere has been 170 to 300 ppm (parts per million) for the past 800,000 years. But emissions have been rising rapidly in the last century and were up to 386ppm by 2009. Methane emissions were steady for most of human history around the 650 ppb (parts per billion) but have shot up to more than 1700 ppb in recent years. 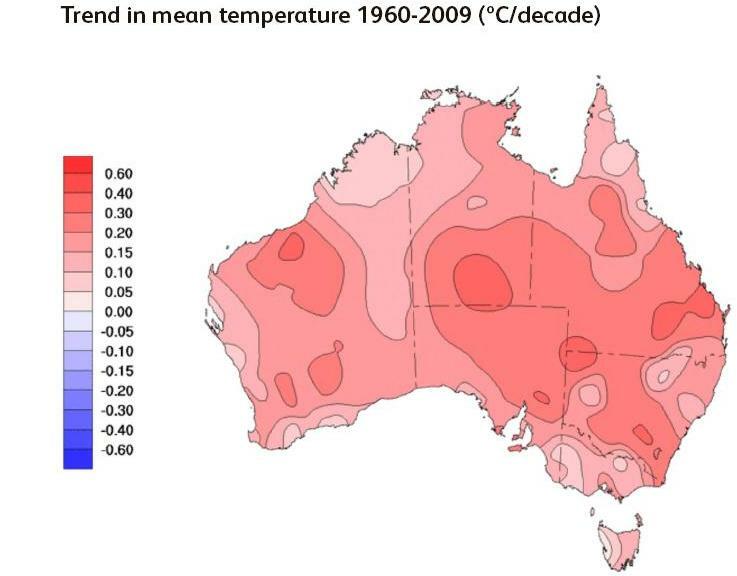 The evidence points to glaringly obvious conclusions: Australia is becoming hotter, the heavily-populated areas are becoming drier, and human activities have caused most of the damage since 1950. The CSIRO and the BOM deal with probabilities so they are “only” 90 percent sure of that last fact. But I would not want to be backing the one in ten possibility. As the researchers baldly conclude “our observations clearly demonstrate that climate change is real”. Which makes all the more surreal, reactions from some recalcitrant MPs and media decision makers. 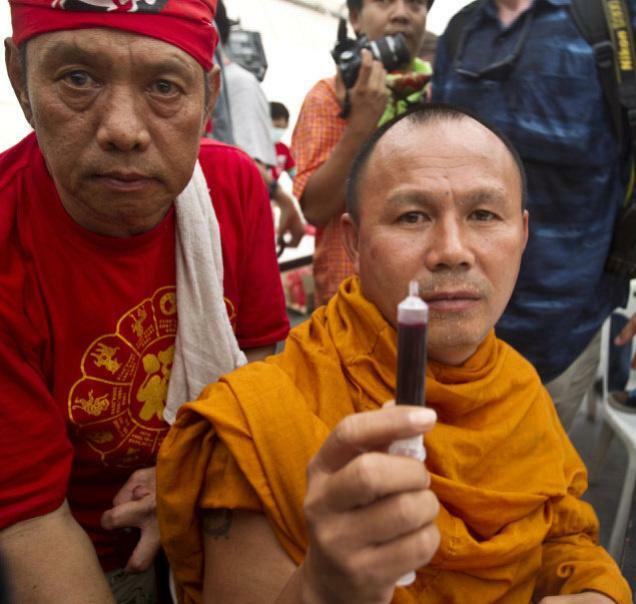 Thai political protesters have decided to spill blood to match their red shirts on the streets of Bangkok. Organisers have asked 100,000 marchers to donate blood to be spilled at the gates of Government House to demonstrate opposition to the rule of Prime Minister Abhisit Vejjajiva. Apart from the melodrama, it is a terrible waste of good blood but it shows the determination of those loyal to ousted Prime Minister Thaksin Shinawatra who have protested for 15 months since Abhisit took power. Demonstrators lined up to have their blood drawn by nurses, after their leaders vowed to collect “one million cubic centimetres”. Protest leader Nattawut Saikur said if Abhisit wanted to remain prime minister “he must walk across Red Shirt people’s blood.” Another leader Veera Musikapong said the blood was a sacrificial offering “to show our love for the nation, to show our sincerity.” The protesters planned to spill the blood if Abhisit continues to refuse their demands that he resign. This macabre mass protest has entered a third day bringing 50,000 troops and police to Bangkok’s streets. The red shirts are the United Front for Democracy against Dictatorship. They are mostly rural and support Thaksin, in exile in Dubai after he jumped bail on a graft charge. He swept to power in 2001 promising measures to benefit the poor, and most still see him as a hero. His popular policies included micro-credit and affordable healthcare schemes. Protesters believe the Abhisit Government is illegitimate, because it came to power by defections rather than by winning an election.The Oxford educated 45-year-old Abhisit became leader of the Democrat Party in 2005 following a crushing election defeat. After a constitutional crisis Thaksin called a snap election in April 2006 which Abhisit boycotted as did all other opposition leaders. There was supposed to be a second election in September but the military coup put paid to that. Abhisit disapproved but supported the interim leader and bided his time. He was defeated again in the December 2007 election by Samak Sundaravej of the People’s Power Party who formed a tenuous six-party coalition. When Samak was sacked for corruption Abhisit lost out again to Somchai Wongsawat, Thaksin’s brother-in-law. Somchai didn’t last long either. The Constitutional Court banned him and his party for electoral fraud. Disillusioned MPs defected to the Democrats and Abhisit finally had the numbers. He was elected PM in December 2008. It wasn’t long before the sniff of scandal began to whiff around him. The opposition accused him of approving false account reports to the electoral commission and filing false information. Abhisit survived a vote of no confidence though corruption claims continued to dog him. The biggest shadow over his leadership remains Thaksin. In March 2009 Thaksin accused the Privy Council of masterminding the 2006 coup that ousted him and conspiring to make Abhisit leader. This was the signal for thousands of Thaksin supporters to come in from the countryside to take to the streets. Last year Abhisit declared a state of emergency and he got the army to clear the streets of protesters. This time the catalyst is the constitution court’s verdict on 26 February to seize two thirds of Thaksin’s assets. As The Guardian says “For Thaksin, the struggle is now all personal after his assets confiscation. For the reds, the fight is increasingly an organic people’s movement to upend the established order. Such all-or-nothing stakes bode ill for Thailand’s stable future”.